See the gallery for quotes by Helena Bonham Carter. You can to use those 8 images of quotes as a desktop wallpapers. It's different when you're an actor and playing a part, but when it's just you, you feel immensely vulnerable have strangers prodding and prying. No, I can never rely on Tim to make me pretty. Wearing corsets all the time was completely incapacitating, as far as digestion goes. Well, at least I'm not too thin. I eat. You can't ever put your self-definition in the hands of somebody who meets you for 15 minutes. I loved doing all those costume dramas. I didn't think, 'Ooh I've got to avoid being typecast' - you can't ever be dictated to by what other people think. I just do things because I fancy the parts and the directors. It didn't matter what you look like. You don't have to get up at 5:30 in the morning and there's a lot to be said for that. Corpse Bride can just play all my parts from now on and I'll just do the voice. It took me so many years to move out. I'm definitely a bit of a Peter Pan, reluctant to grow up. It all seemed really nice at home-why change it? Part of me would prefer not to have any responsibility whatsoever. 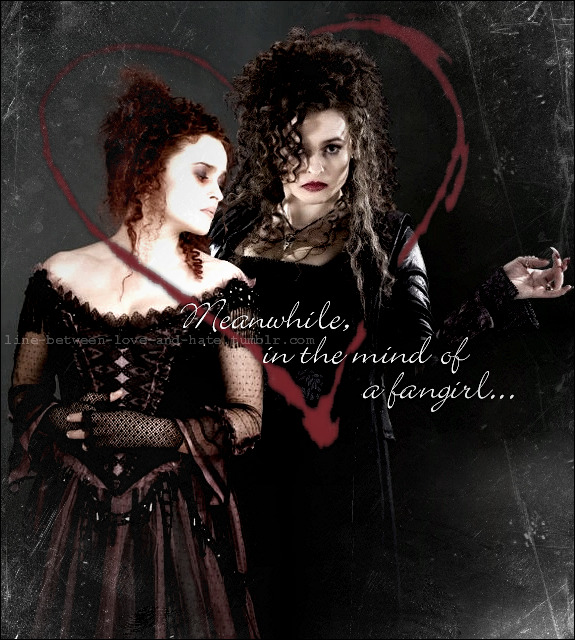 Much more quotes by Helena Bonham Carter below the page. The problems come when your personal life and relationships come under scrutiny in the press and often very uncomplimentary things are printed about you. But it's often been the case, I've done so many countless small, independent films that really 3.2 people have seen, so you never know. You do it for the joy of the part and not necessarily expect anyone to see the final product. I just went and got an agent because I thought I can create my own world - you can't right your own life, but you can escape to a world where you can have control. I think I've still got a bit of a sado-masochistic streak in me, because if I'm not going to be restricted by corsets and covered in lace, then I still wind up wearing an ape-mask over my face. I do wonder how I get myself in these situations! I was a mixture of being incredibly old for my age and incredibly backwards. I was born quite old, but then I stopped growing. I lived with my mum and dad till I was 30. I was reading William Shawcross's biography of the Queen Mother, dressed in my witch outfit! And you know what? It was a really good mix; it was a therapeutic mix. It's easy for me to go back to being a kid. You know how kids can be like savages before they get civilized? There's that sadist quality. Y'know, like boys who like to pick apart an insect for the sake of it. 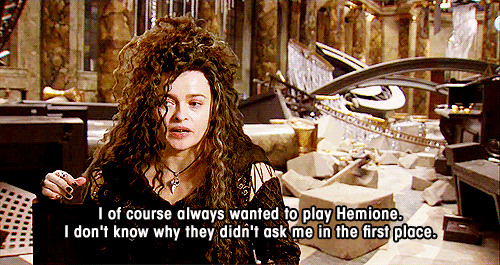 J.K. Rowling said Bellatrix's role was going to be significant in the last one, when I showed some reluctance in playing a tiny bit part. Up front, they said, 'You're very significant in the last one.' But significant could mean a lot of things. That could just mean a significant plot point. Doesn't necessarily equal big part. No matter how many modern parts I do, people still refer to me as Mrs. Costume Drama. Fight Club is a studio pic, and I've done very few of those. I've got a feeling it's going to change things for me. Usually I'm frustrated when I look at my films and I don't believe that I've made a real transformation beyond my usual sets of gestures and expressions. I still have this nagging feeling that it's me, that I didn't create a unique character. I should get a few ribs taken out, because I'll be in a corset for the rest of my life. I'm a very good sleeper. I love changing what I look like because I always feel super strange whenever I do watch something that I'm in. I enjoy those small chats you have when people come up and talk to you about your work. It only involves a few seconds of effort to be nice to those people, and I am very grateful for the kind words that people have taken the trouble to express to me in person. I don't think kids have a problem with death. It's us older ones who are nearer to it, that start being frightened. I'm the kind of actor who has ventured into escaping from me. You become very angry and depressed that you keep getting offered only these exceedingly demure and repressed roles. They're so not me. That's why films like Fight Club were so important to me because I think I confounded certain stereotypes and limited perceptions of what I could do as an actress. I hate this image of me as a prim Edwardian. I want to shock everyone.